We all know that a bad toilet backup is one of the worst things that can happen to us and one of the most common culprits of that is toilet paper. Well, a toilet isn’t the only thing toilet paper can back up. 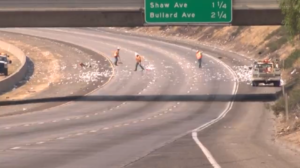 On multiple occasions, toilet paper has been known to back up highways and cause massive traffic jams. It’s more common than you think, actually. 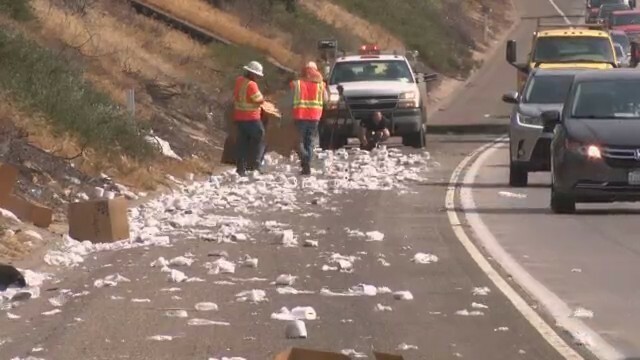 In July 2018 a huge toilet paper spill shut down highway 41 in Fresno, California. It took more than a half hour for cleaning crews to remove enough of the toilet tissue to allow cars to continue on their commute home—but it still took them hours of work on the shoulders to finish picking up each piece. Then, on October 25, 2018, just before Halloween, a tractor trailer spilled three pallets of its cargo along Interstate 79 in Union Township, Pennsylvania. And yet another post-work commute was backed up in Oklahoma recently, on February 26th of this year, when two storm trackers were out covering the freezing rain and instead stumbled on a different story. 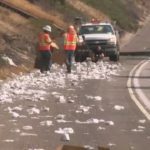 Cars were backed up for more than 3 miles thanks to roll after roll of Windsoft that littered the highway. It seems that, no matter how hard we try, the worlds of workday commuting and toilet paper keep colliding. If you ever do see this happen…just make sure that you’re stocked up on toilet paper yourself, because your local grocery’s supply might be littered all over the road.